SNESMusic.org Forums • View topic - A little help to rip samples from SNES Spc files. Post subject: A little help to rip samples from SNES Spc files. It has been a long time dream for me, as a composer, to be able to compose using the sounds of my youth. I am finally putting my hands on how to rip sample for games i love in order to use them for my own recreational creation. Up until now, i used some Windows players that allow me to extract up to 8 channels of SPC files into .WAV file. Then in Cubase i find a single note, and extract it, to then import it in Native Instruments Kontakt. It works fine for plain sound, but sometimes the channel how sounds with effects (live reverb of delay) or are played in too short notes, which makes it impossible to cut and export certain sounds. Or perhaps, there is an easier way to extract single samples from SPC files ? Post subject: Re: A little help to rip samples from SNES Spc files. ...then go to the command line, cd to the src directory, and then execute make. 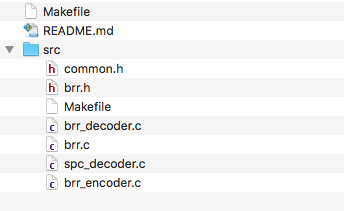 You should get three compiled binaries: brr_decoder, brr_encoder and spc_decoder. Thanks for the quick reply. Wow, ok this is a lot of information for me here. I'm pretty newbie to compiling... I'll do some research and see if I can manage to do this myself. So i got to the CC=gcc code part. But i'm lost at where you mention "command line", etc... Are you reffering to the Terminal in OSX ? OK... that's better context for me, actually. First, make sure you edited the makefile before attempting this. Put a space after it, and drag the src folder into the Terminal window, then hit Return on your keyboard. ...press Return, and three files should show up in the brrtools folder (if it doesn't output an error. If it does, copy the error shown, paste it here, and I'll try and figure out what happened). These are the executables that were created. Put a space after it, drag the desired folder you want to put your new .wav files in, then hit Return on your keyboard, then repeat the process above for executing the program. If you start a new Terminal session (either by restarting the application or opening a new window), the .wav files will by default show up in your home directory (represented by a house icon on your computer). I keep getting a permission denied error. I tried to type the sudo command, and then my admin password, but nothing happens after that. Please find attached two screenshots. One of my folder content, and the other of the Terminal. On another note, spc_decoder.c is not the compiled executable: it's just source code. Understandable, though, given that the compilation didn't quite work... There should be no extension on the executable (to my knowledge, anyways). I got it thanks ! I actually missed, like you mentioned the part where i had to drag the folder after cd... sorry ! So, i'm almost there. I'm just having trouble now to export wav files. Perhaps i'm typing something wrong, though i followed the example given from BRR Tools. should output several .wav files. ...and you should get some .wav files. The musical samples actually start at 32, not zero or 1. I cite actually ripping a few samples myself as an experiment. It's just for this game, though: you may have different results with others.